Tenon cutters cut perfectly smooth and round tenons up to 3" long and can also be used to cut plugs and short dowels. 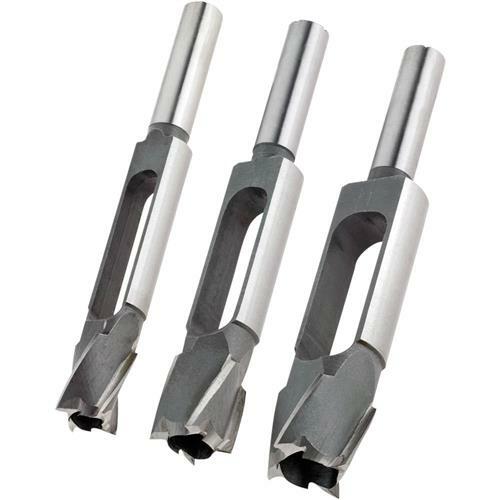 All of our cutters are milled from solid high-carbon steel and are precision-ground. Set includes: 3/8", 1/2" and 5/8" and comes in a protective wooden case. Shank size: 1/2". I have used this product that I purchased. Iam very happy with the results. I tried to purchase this item at 2 different big sore chains, and of course they didn't have them.